Many people think that arthritis goes with the territory of aging and that after a certain age it can’t be avoided. As an ageless goddess I am here to tell you that you don’t have to put up with arthritis and the pain and disability it can bring. Arthritis is a disorder that involves inflammation in one or more joints. It is not just one disease; there are over 100 different forms of arthritis with even more distinct symptoms. Arthritis can affect people at any stage of life. The most common form of arthritis is osteoarthritis, a degenerative joint disease that causes your cartilage to break down and for bone to rub against bone. Symptoms of osteoarthritis may include pain and stiffness that develops gradually. The most commonly affected joints include your fingers, knees, hips, and spine. Osteoarthritis less frequently affects the wrists, elbows, shoulders, and ankles. When it does affect one of these joints, it’s usually due to a history of injury or repetitive stress to that joint. Another common form of arthritis is Rheumatoid Arthritis (R.A.) R.A. is labeled an autoimmune disorder. It affects the synovium, and may also affect other tissues and organs. Symptoms of R.A. may include painful swelling, inflammation, and stiffness in the middle joints of the fingers and the large joints in the body such as wrists, elbows, shoulders, hips, knees, and ankles. R.A. is typically symmetrical — occurring in the same joints on both sides of the body. Underlying diseases, such as psoriasis or lupus and even common viruses can cause other types of arthritis. Finally, infections can cause septic arthritis. NSAIDs – including brand names such as Advil, Motrin, Midol, Aleve, Mobic, and many others — treat pain and also help reduce inflammation temporarily. They are available over the counter and in prescription strength. Acetaminophen (such as the brand Tylenol) is another pain reliever often used for arthritis. While it may reduce pain temporarily, it has no effect on the underlying inflammation. Of course, all of these medications have a long list of side effects including everything from stomach irritation to ulcers and even death. NSAIDs affect the kidneys so they should never be used by patients with kidney disease. They have also been linked to cardiovascular risks, such as heart attack and stroke and increased blood pressure. Acetaminophen is highly associated with liver toxicity and acute liver failure even at a standard OTC dosage! Patients with R.A. are typically prescribed a myriad of drugs, including steroids, TNF Alpha Inhibiting drugs (Humira and Remicade), disease-modifying anti-rheumatic drugs (DMARDs) such as methotrexate (Trexall) and hydroxychloroquine (Plaquinil), and Biologics, which suppress your immune system. These drugs are some of the most dangerous medications on the market. They have significant side effects, including high blood pressure, weight gain, high blood sugar, bone loss, nausea, headaches, fatigue, eye damage and liver damage. Biologics can significantly increase your chance of serious infections such as tuberculosis, pneumonia, psoriasis, multiple sclerosis, and even cancer. If this all seems like pretty scary stuff to you, you bet it is! If you are taking OTC pain relievers or prescription medications on a regular basis you need to be under close supervision by your doctor, and you may want to consider safer forms of pain relief, such as non-acetylated salicylates – The brand names include Salflex, Trilisate and Disalcid. Now, there are clearly circumstances where drugs are indicated. In fact, during the holidays I slipped on black ice and hurt my knee. I was in a lot of pain that night and took Naproxen to ease the pain so I could sleep. But, I know that even when an injury is involved, these drugs don’t get to the root of the problem, so the next day I did a Divine Love session with Bob Fritchie to heal my injury. I was able to avoid taking any additional pain relievers. While the many forms of arthritis have very different causes, risk factors and effects on the body, they all share a common symptom—persistent joint pain. Pain of any kind has emotional roots. In fact, studies show that emotional factors are crucial to the development of R.A. The emotions associated with arthritis are usually unexpressed anger, resentment, aggression, criticism (of self and others), lack of support, and fear. Experts suggest that one reason women are afflicted with R.A. four times more frequently than men is because women are taught from early childhood not to express anger. It is also not uncommon for people with R.A. to have experienced some sort of emotional trauma, usually before age 5. Traumas that occur when you are young can hinder the development of your immune system and leave you susceptible to infections, such as Epstein-Barr virus, which Medical Medium Anthony William says is an underlying cause of R.A. symptoms. Where you you experience arthritis in your body can be a clue to what hidden emotion or trauma you’re suppressing. One of my all time favorite books for deciphering the emotional roots of physical pain is Heal Your Body by Louise Hay. You can use it to look up the location of your pain and gain an understanding of what emotion or trauma you may be suppressing. Locate Your Pain. Use Louise Hay’s Heal Your Body to look up any body part where you are experiencing pain. For example, Louise says that pain in your neck is related to your inability to see the other side of an issue. Pain in your knee – a very common occurrence in our culture –means that you are being inflexible or stubborn. Pain in your hand represents holding on to something that’s not working for you, or feeling unable to “handle” something. Acknowledge the Emotions of Arthritis. If your pain is caused by arthritis, you always add anger, resentment, criticism or fear into the mix – so, for example, the pain in your hand could be from holding on to something. Because the pain is caused by arthritis, you may feel angry or resentful about whatever it is that you are holding on to. Express Your Emotions Then Release Them. Once you have identified the location and meaning of your arthritis, express the emotion(s) associated with it. Then say, “I choose to release this” then name your emotion or event. 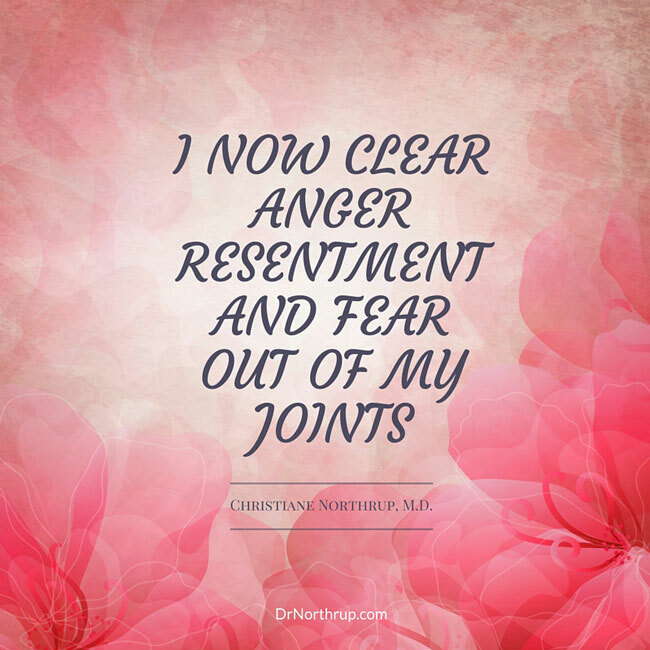 If you cannot name the emotion or event, you can say, “I now clear my anger, resentment and fear out of my joints.” Use this as you peel the layers and uncover the root cause of your arthritis. Remember, even though you may have experienced a painful event, you get to choose how you interpret and respond to it. When you hold on to painful memories, your body reacts with physical pain, hormonal secretions and other stress responses. Own your emotions then let them go. This is the equivalent of taking out the garbage every day. You can also ask that Divine Love assist you with releasing your emotions. I do this every morning. Getting control of your pain is an important aspect of healing from arthritis. If you don’t address the pain you can become fatigued and even depressed, which takes a toll on your immune system. If you must take a drug, take the safest one possible for the shortest amount of time possible. In addition, try adding one or several of the following alternatives to your pain management routine while you continue to practice releasing the emotions associated with your arthritis. Clean Up Your Diet. Most Americans eat a highly inflammatory diet. Eating real, whole foods is a no brainer when it comes to easing pain of all types. Be sure to eliminate all grains and sugar. These increase insulin and leptin levels and cause inflammation. Also, eliminate dairy, corn, soy, and all processed foods. Add Omega 3 Oils. Omega 3 oils mediate inflammation. Add plant-based Omega 3s to your diet such as flax seeds and walnuts. You could also try a high-quality EFA supplement. Practice Emotional Freedom Technique (EFT). Tapping can help you release stress and emotional trauma and get to the root of your arthritis pain. Try Anti-Inflammatory Foods. Add Curcumin, Ginger, and Pineapple to your diet. Eat a variety of fruits and vegetables – the more colors the better. Remove any foods that you may be sensitive to – people with arthritis often don’t do well with night shades. Eat your food as close to raw as possible. Try to eat organic when you can. Juicing is also a great way to get your fruits and vegetables. Try Acupuncture. The Chinese believe arthritis is a disease of blockages or obstruction of one of the energy meridians. Acupuncture – like EFT– can help to clear your energy meridians and ease pain and inflammation. Get Grounded. Grounding, or Earthing, uses the Earth’s electrons like a magnetic mop, cleaning up positively-charged, inflammation-causing electrons and creating balance in your personal electrical circuitry. Simply put your bare feet on the ground and allow them up to soak up all of the good negatively-charged electrons. Studies have shown that standing on the earth for 20 minutes per day decreases cellular inflammation by 20%. Recently I have been having arthritic pain in my fingers and decided to use this cream to alleviate the pain. I bought Superior cbd Pain Relief cream about a month ago and have used often. It works well and fast! It is moisturizing and it disappears on the skin very fast. Thanks for sharing this information.There are some conferences happening in which medical speciality would be Arthritis and here is one of those conferences.the conference details are given below. 18th Annual Symposium on Current Concepts in Spinal Disorders is organized by Cedars-Sinai Medical Center and will be held from Feb 07 – 09, 2019 at Four Seasons Hotel Las Vegas, Las Vegas, Nevada, United States of America. Hi Carl, I have a family member that has Artritis and I havent been able to find de herbal remedy that you wrote here. Can you please send me more info about it? Carl says: Best Health Herbal Centre. You can google it. Anyone knows if this is trustworthy? God bless you Christiane for the wonderful collection of right information. If you have a daily exercise routine, try taking music along with you. A morning walk or run, or even yoga or stretching, can become easier and more enjoyable if you have music as your personal coach and companion. Again, it is important for you to choose music that works for you and that you know will have the effect you are trying to achieve. This may take a little trial and error to sort out at first, so be sure to take note of the musical selections that help you feel inspired and promote a sense of personal wellbeing. Love this article! I’d like to pass it over to my brother in law who suffers daily from Crohns, IBS and arthritis. Any other tips for him? BRAVO beautiful Goddess! Thank you for endorsing this concept that thoughts DO in fact create physical ailments. Worked with traumatized children for years…stomach aches, headaches, etc. First discovered Louis after an emergency gall bladder surgery (bitter, angry, no more joy) in 1990. My brother sent her heal your life book to me then. It clicked immediately. Love you dearly sweet soul sister! As always, you over deliver and at just the right time. Thank you! Wise, helpful words. I will share this with several people who don’t think they have any power over their bodies. As a retired RN, I have heard many doctors say, “Well you have arthritis and you’ll have to live with it. You’re getting older and there’s nothing we can do.” There’s never a mention of diet, alcohol, stress, emotions, traumas etc. Often a prescription is written. I currently work with women who want more balance in their lives. I like Louise Hay’s book, but I prefer Feelings Buried Alive Never Die…by Karol K. Truman when looking at the emotional connections of illness/disease. It takes the emotions to an even deeper level. Thank you. Just doing the emotional release exercises, once, I feel cleared. Will continue doing this, and asking for Divine Love and assistance, as I do every day. First time reading all the wonderful information….but you do not mention anything about osteoarthritis on neck…. is it because it is not as common? just diagnosed last week, had been in terrible pain for 2 weeks…. Dr. told me normal for my age..67. gave me 2 types of pills and thats it….. would like help on what is recomended for this type of arthritis!!!!!! I live in Mexico and I am rusty in writting in english ..anxious for response! Love to read all your knowledge. Following you since 2000. Gratitude from each fiber of my body. Please do one or two days workshop in DC area- just you. Already attended hay house “I can do it” few time. Most of them have same guests n same topics. Have high high respect for you! I shared your books to my meditation class I teach in hospital n in county. Also gave your book to my OB/Gyn too. Thanks again for everything. I also have talked to you on hay house radio. Por favor Doctora, la artritis es parecida a la fibromialgia? Me podría decir. Algo de esa enfermedad? Tengo una hija y sufre unos dolores horribles.. Por favor en español, yo entiendo un poco de ingles, pero hay cosas que no comprendo, se lo agradeceré con todo mi corazón.. Mi hija vive en España, yo vivo en México, en Hermosillo, Sonora México. Le agradezco de antemano la respuesta… Gracias y Dios la bendiga…. Thank you ! This makes perfect sense. My best friend has vasculitis – she is on a cocktail of drugs and is very sick. It’s a rare disease- I feel this would help too as it’s an auto immune disease. 35 years in an abusive relationship. She is frightened of using natural methods of healing. My mother has Arthritis since the age of 35, she is now 67. Her Arthritis blew up when She got very upset at some family members. She is a very resentful and angry person. I have always blamed it on the way she has lived her life and the stress she created for herself. She is on lots of Medications but they only help temporarily. What can I do about my lead poisoning?? Not have enough insurance to continue . I just wanted to say thank you for todays interview. Dr Perlmutter, I really appreciate your blog and your books. You and a few others are a voice of reason when it comes to health, and I follow you closely. Dr Northrup, you are my rockstar and my rolemodel. Your approach to women’s health is completely aligned with my own and your empowerment of women is so very important. We need to learn the word no and also to question what is “true” as you mention when you talk about mammograms for example. (Sometimes it’s as easy as to follow the moneytrail).To take our health and lives seriously and stand up for ourselves is the most important thing we can do for a life full of love and wellbeing. Big warm hugs to both of you from a chilly Stockholm. Walk 10,000 steps a day.. walking is the best exercise for cardiovascular health.. over and over again I hear this. I scream every day up to the sky..”I WOULD IF I COULD'”! What do you do if you have developed a deformity on the top of your foot and have now arthritis? It is so painful to walk a half a block. I have gained 30 lbs. in 7 years and lost muscle in legs and quads. I was slender all my life, walked 3-4 miles every other morning for years. One day the top of my foot was hurting and became more painful as time went on.. finally went to an orthopedic.. he said maybe a stress fracture. Stay off of it and take Mobic. It never got better and here I am almost 8 years later not very active and always depressed because I want to be able to be active. I eat healthy. I look young. (never any botox or fillers or any other treatments). I have a very young spirit. I am 64. My husband is an avid tennis player and very active. Wish I could do things with him. Help! I feel 90 when inside I feel 35. I have at least 50 different orthotics. constantly trying different ones. I don’t take any prescription medication except 1 BP medication because in addition I developed high BP. I’m sure it hasn’t helped gaining all that weight. Why don’t you go to a good podiatrist who will put you on a walking machine and see how your feet are walking, if he is good and prescribes orthotics , your pain should go , it’s like a miracle when they get it right . Store bought orthotics do nothing . Hi Painful Feet, every person’s experience with arthritis is unique and I myself have had Rheumatoid arthritis for almost 30 years along with lots of changes in my feet which can make exercise a challenge. Exercise is one of the most important gifts you can give you body with arthritis, but how to do that when you have pain and it feels like exercising just increases it makes it incredibly frustrating and feels like it takes all control away. I am not sure how your other joints are, if they function well or not but here are some tips that may help: 1. Arthritis Foundation-contact the Arthritis Foundation in your state, they have different exercise programs, including an aquatic program done in a warm water pool which everyone can do. Any warm water aerobics program will make exercise easier, in part due to the warmth of water and the buoyancy of the water. 2. Get a consult from your doctor for a physical therapist and occupational therapist. They can be invaluable in helping, especially if you haven’t been able to exercise for a long time. 3. Yoga-Personally for me this has been a lifeline, and yoga can be restorative yoga which is very helpful for painful joints, there is a great Rodney Yee yoga in a chair video, gentle yoga can stretch the muscles and help improve pain and stability by working with your own body and its challenges. It does require a bit of a different mindset-to work with the body you have, not the one you used to, or even the one you want. I cannot straighten my elbows, have extremely limited range of motion in my wrists and hands and my feet are horrific so I have to adapt my yoga practice but it helps support my body and my being in a very beneficial way. 4. Meditation-however you do it, do it. Meditation has been shown to decrease pain, even if you do it for 5 or 10 minutes. It is a hard, difficult journey, but while you may hate your body ( I sure did at some point-I was diagnosed at the age of 17 and told I’d be in a wheelchair eventually), your body is inviting you to a different type of relationship. You may not be able to get rid of it completely, but you can work with it. You confirm what I have always believed that our health is controlled by our minds. Western medicine so often allows our poor health to control our minds with Drs appts, pills and more pills,and leading conversation topics of seniors. I just got my silver sneakers card, and I don’t want to go down the same road as my dear parents. Would this same information hold true for people with Scleroderma? Or is that different? There is a lot of overlap with scleroderma. Give it a try. Thank you very much. I am reading your book.You are the best…Divine love for you. Hi Christiane I am from the UK and love your work, followed you since the 1990’s! My mum and brother both suffer from arthritis and I have always believed it is emotions they have buried that is causing this. I turned 50 last September and received your Goddess book as a gift from my husband (I have all of your others too!). I feel better now than I have ever felt before, I’ve just completed a 5 week course of Aerial Yoga with my 17 year old daughter and feel so proud of myself. I managed to do all of the moves and routines and love hanging upside down!! Just wanted to say a huge heartfelt thanks, you are one of my health gurus and I’m so grateful for all that you share. Love it! I am VERY impressed!!! Thank you for this wonderful comment!! I received this email message at the perfect time. My left knee has been bothering me and I was just about to go to the health food store to see if there is anything organic that I could buy. Now I have a list of natural pain relievers that I can request. Thanks,. Yoga is also amazing for all types of health – physical, physiological, mental, spiritual and psychological. I was taught that hip opening positions like pigeon also bring up stored up trauma (and can attest to it). Mindfulness meditation is also incredible for health on all levels. I wanted to mention something about sugar. It is almost impossible to eliminate all refined sugar and grains from one’s diet unless you live in a very controlled environment. This isn’t real life. Better to shoot for encouraging eating more healthy food and less of the stuff that can adversely affect health. The problem with challenging people to eliminate refined sugar from their diets is that it keys into the negative images that every failed dieter keeps in their minds as a result of the trauma of being blamed for “failing” to lose weight and keep it off. The chronic stress that results from the constant reminder that it’s dangerous to be fat is more destructive to our physical bodies than the sugar itself. It also makes it more likely that an individual will be more inclined to go for the sugary treat in order to numb these horrible feelings. 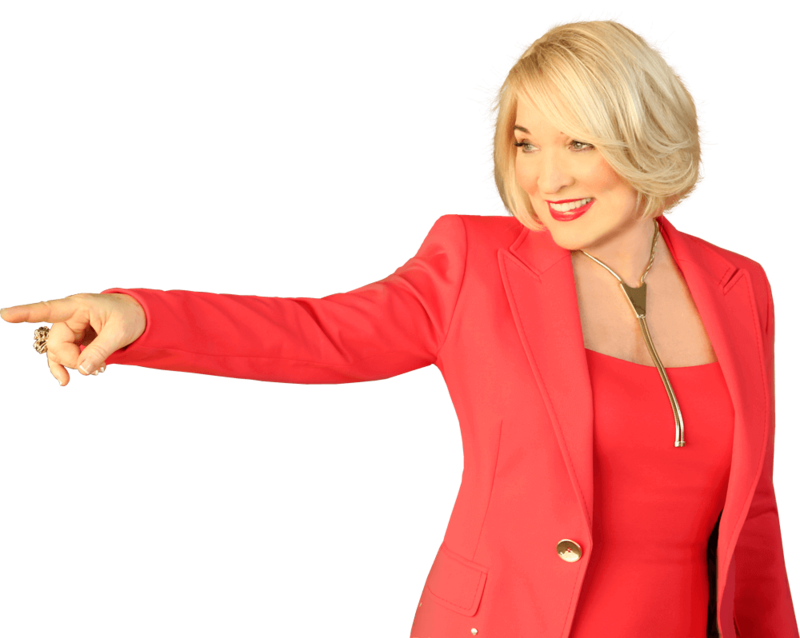 Hi Mary G– I find it increasingly EASY to eliminate grains and sugars because there are more and more choices available than ever before. Like beans and nuts and vegetables. There is so much good information out there now– everything from Grain Brain to Wheat Belly to The Blood Sugar Solution to the Always Hungry diet by Dr. David Ludwig. Even airports have good food these days. Changing our diets is about LOVING ourselves, not BLAMING ourselves. Right on Dr. Northrup! My husband and I started by eliminating soda pop & all sugar. We then read Grain Brain and one by one eliminated all the “wrong” foods and followed the Grain Brain Diet as best we could. We kept tweaking, adding good foods from the list and dropping the foods that were not on the list. Without “dieting” be are both at our ideal weights…..any excess weight just melted away….especially after incorporating lots of the good fats from the list! Best thing we have ever done for ourselves. We eat organic good whole foods. 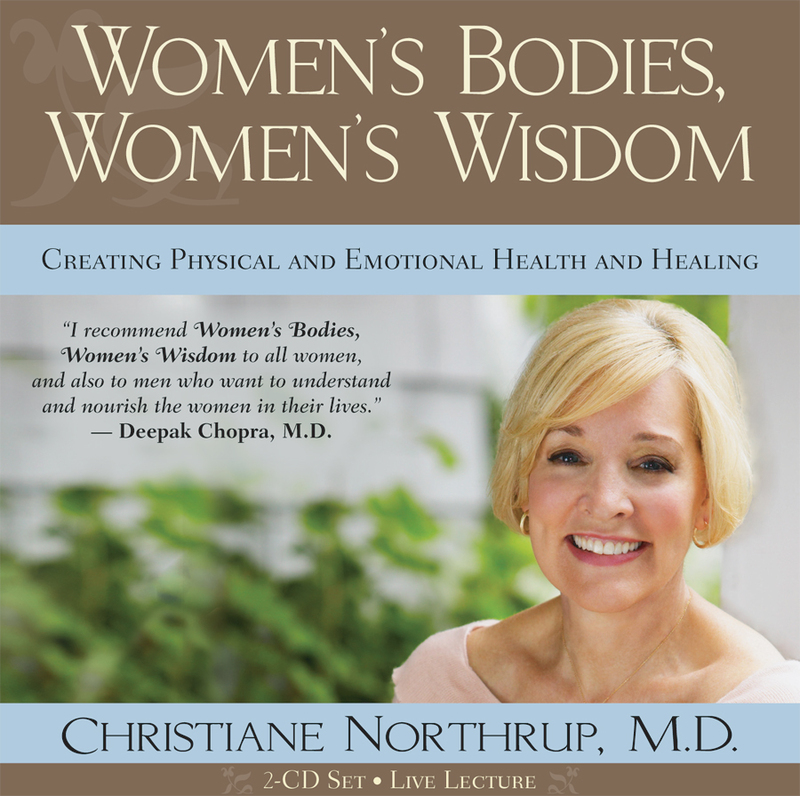 Thank you Dr. Northrup for turning us on to the Grain Brain book! You are a gem! It’s easy but you have to get organised and bring your gluten free foods with you. Thank you being a believer in God makes some of these modalities challenging as I ferl he is the ultimate healer but I can word it in a way that suits my beliefs. I need to get my feet grounded more living in the NW makes it difficult it’s a lot colder here then my home town of San Diego but I am very interested in trying this. I also feel there my be underlying trama as a child, I need to make time for that tap therapy. Thank you for this wonderful post on arthritis. I have it and most of my close family do past and present. These are many ideas I can put to work!! I love all your posts and are very helpful. I`m a 68 year old retired health care worker. I belong to classes such as aqua fit and yoga. I so want to stay moving in the years to come, mentally and physically. Thank you once again, Dr. Northrup. Nice comment. Thanks so much!! and thank you Dr. Northrup. In addition, have your audio book another gift and I will to jog/walk into the Spring. Please, could you give me some help with tinnitus. Try liquid ionic zinc. Two droppersful per day. Available from Amazon. Also some liquid Vitamin B12. Try mykind organics B12 organic spray. Also tastes great!! So much valuable info here and something for everyone. Thank you. I love Shiatsu. good call. In my family,,my siblings, father, mother, grandparents etc. all have severe arthritis. I have followed all those recommendations you mention for many years now and I am now seventy with no symptoms of arthritis. I found a course online to learn QiGong (longwhitecloudqigong.com)which is absolutely amazing..I dance every morning which gets my energy circulating even if I can`t get out for a walk etc. 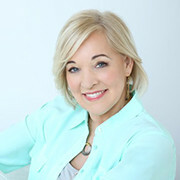 Thank you Christiane for you wonderful information..It really works but requires a little discipline each day and over time all will be well. Thank-you so much! I definitely will do this exercise daily! I also need to clean up my diet. It will be hard to give up dairy but so many leading edge physicians encourage that! Great post! I love learning more about mind-body connections. I try to be very careful of my critical feelings because my mom has arthritis and I am SO not interested in dealing with that. please tell me what you do if you have gout,, psoriasis , and diabetic,, what do you do then one thing you eat to keep gout away affect the other? Also how can I get rid of the lumps on my fingers from the psoriatic arthritis..? Thank you for any help you can give.. Try the Divine Love Healing process from http://www.worldserviceinstitute.org REad the book BEcoming One with the Divine. And also consider one of Bob’s webinars. the testimonials are well worth reading. Absolutely love your work and appreciate the time and effort you spent sharing your wisdom. Also a “friend” of Abraham’s.